AIPH INTERNATIONAL GROWER OF THE YEAR AWARDS 2019 IS OPEN FOR ENTRIES! Recognising the very best of the best in the horticultural industry, the 10th International Association of Horticultural Producers (AIPH) International Grower of the Year (IGOTY) Awards 2019 is open for entries. The event is taking place at the IPM fairground on Tuesday 22 January 2019 in Essen, Germany, alongside IPM Essen 2019. The awards recognise best practice in horticultural production by the top ornamental production nurseries from around the globe. 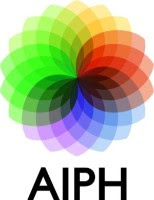 Visit the AIPH website for more information.